PeopleMover Tomorrowland attraction at Disneyland; opened on July 2, 1967, with major improvements in 1968. The Superspeed Tunnel was added in 1977; Tron footage in 1982. Closed August 21, 1995. By riding the PeopleMover, guests traveled inside several of the Tomorrowland attractions and were thus able to get a preview. The technology, innovative in 1967, featured electric motors in the track itself which propelled the vehicles. Disney’s Community Transportation division used this same technology to build a PeopleMover at the Houston International Airport. 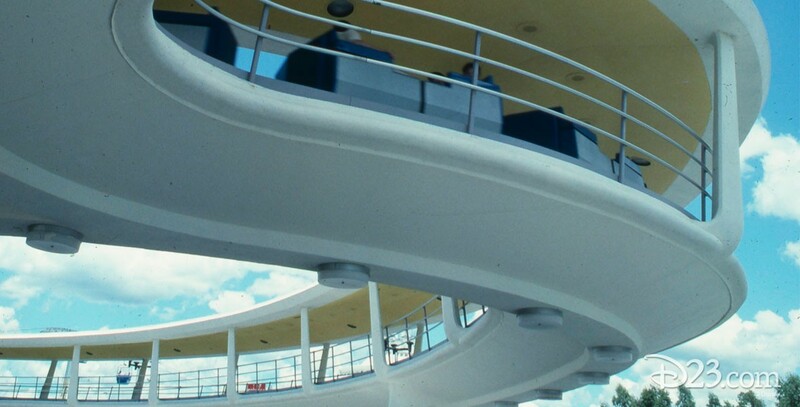 See also WEDway PeopleMover.